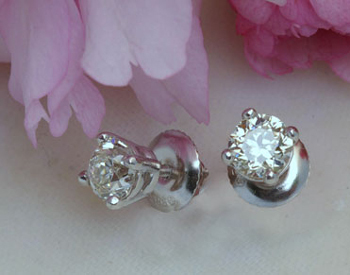 Extra effort was used to perfectly match diamonds for these classic solitaire earrings! These earrings are amazing. Set in 14 Karat white gold, four claw wire settings with threaded screw backs for added security. 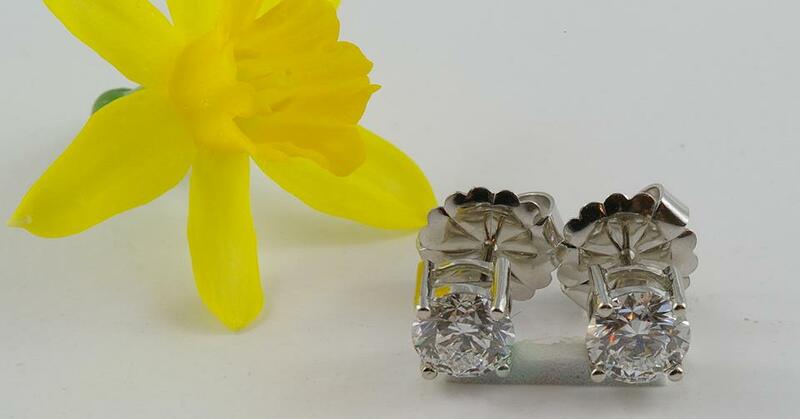 Available in a wide range of diamond sizes. Call for an estimate to custom design your earrings.